It seems like just yesterday that PSG were wrapping up a domestic treble last season in Ligue 1, the first team to have ever accomplished the feat in France. Okay maybe it was over two months ago that PSG accomplished this but with the 2015-16 season being only a few days away, one can’t help but feel nostalgic about the season prior with how special the season was. The 2014-15 season in Ligue 1 could be best described as a mini renaissance for French football, with the best title race European football witnessed last season. In the beginning of April, four teams (Lyon/Marseille/PSG/Monaco) were within six points of 1st and Monaco at that time had a game in hand. Of course we know the end result, but the eight point separation between PSG and Lyon hides how captivating the title race was throughout the season. Ligue 1 is back for the 2015-16 season and unlike last year when both Lyon/Marseille surprisingly emerged as title contenders, this year seems a bit more predictable and could more resemble what Ligue 1 has been over the past three seasons. 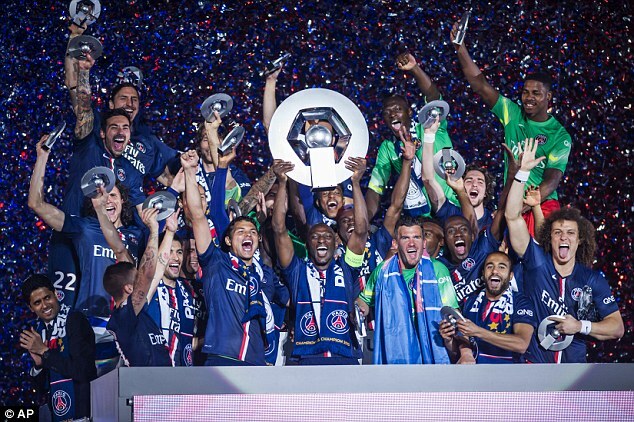 As is their status in France, PSG are the Hollywood club of Ligue 1. At times it felt like a sideshow with the amount of incidents that involved the Parisian side last season and specifically Zlatan Ibrahimovic. Whether it was Zlatan ordering his teammates to avoid the media or his infamous “tirade” after a 2-1 loss to Bordeaux when PSG were in the thick of the title hunt. All of these incidents highlighted the fact that for the first time in the Zlatan era, PSG were in an actual dog fight for the French league title. Coupled with that the very real signs that Zlatan was possibly aging, a fairly thin squad that had to deal with the Champions League and domestic cups and an attack that looked fairly uninterested until late in the season, and you could see why the club became discombobulated. Well the rich has gotten richer. The Angel Di Maria move has all but been confirmed and with his inclusion to the squad, PSG could be home to potentially the best midfield trio in European football. Shifting Marco Verratti into the deepest of the midfield could unlock the full arsenal of his playmaking abilities, which is scary to think about considering how good he already is. Blaise Matuidi can continue to be maybe the best midfielder in Europe when it comes to covering ground while Di Maria could add in the attacking/creativity prowess that PSG don’t really have from anyone in their midfield outside Javier Pastore (and Pastore himself is as position-less as a player can be). Even if Zlatan is more or less a declining figure of the club and the first half of last year wasn’t just a one-off, PSG should have more than enough to win the Ligue 1 title. Lucas Moura will return healthy after having the majority of his second half plagued by injury. PSG swapping Yohan Cabaye for Benjamin Stambouli was a smart bit of business and Pastore rediscovered his magic last season. The squad is still more or less as thin as it was last year when they were under Financial Fair Play constraints but if Laurent Blanc can bring in more youngsters from the academy to rest the veterans on occasion, it could go a long way to getting PSG as fit as possible come March and April. PSG even in a down year last season were the best club in France. They had the highest team rating (my version of the metric is a mixture of shots on target ratio and PDO but it’s heavily based on SoTR), the highest expected goal ratio and the highest shots on target ratio. Adding a world class player in Angel Di Maria will just illustrate that fact even further. The defense should be set with a great center-back core in Thiago Silva/Marquinhos/David Luiz, and Serge Aurier could have a monster season at right-back. There’s still nagging issues with the club: one being that Edinson Cavani wasn’t good until late in the season and could be on the decline as well, Salvatore Sirigu could be best described as an average goalie and the winger situation is still pretty dreary outside Lucas (although PSG could try Di Maria as a RW and Lucas shifts to the left). But this could be the best PSG side since Qatari ownership came into play and the one that finally breaks through into the semi-finals in the Champions League, something that the club has tried very desperately to achieve. Assuming that PSG don’t self combust into flames like they nearly did last season, the ingredients are there for a dominating season from the Parisian club. It’s actually kind of a shame that PSG are as loaded as they are, because Lyon are returning the same cast of characters that got them very close to the title last season while adding a capable striker in Claudio Beauvue. There’s a lot to be excited for Lyon: they’re opening their new stadium come early 2016, Lyon have kept their core together from last season including star striker Alexandre Lacazette and for the first time since 2011-12 the Stade Gerland will be home to Champions League football. Seeing Lyon fare with both CL football and the league will be a challenge for the club. Last season both Lyon and Marseille benefitted considerably from only having to deal with domestic play and no European football. Of course it’s good for Lyon to be back in the Champions League both for the prestige of the club and their finances, but Lyon will be stretched as currently constructed. It also doesn’t help that midfielder Clement Grenier suffered a freaky quadriceps injury versus Arsenal in the Emirates Cup and will be out until probably 2016. Perhaps maybe we can pin point some of the reasons for Lyon’s sudden jump in PDO. One was that Anthony Lopes was brilliant last year, resembling a young Hugo Lloris. Lyon had the second highest save percentage last season. They had an expected goal outcome of 41.8 but only conceded 33 goals. On the attacking side Lyon scored 72 goals last year but had an expected goal outcome of 49.3. Lyon scored only one goal from the penalty spot in 2013-14, that jumped to nine last season. Lyon created 27 chances via the throughball last season versus 8 in 2013-14 and scored seven goals from it, up from the paltry one in 2013-14 (throughball opportunities were converted last season at a clip of 27% compared to just 11% on crosses so these are much more advantageous opportunities). Add to that Lyon had the second most final third passes at 5331, only 17 behind PSG and an intelligent person could conclude that while Lyon probably over-performed last year on both ends: the limitations of an expected goal model that fails to account for the type of pass preceding it perhaps underrepresented the style of play and passing that Lyon exhibited last year. Bottom Line: Lyon were both good and probably somewhat lucky last year but another season with the core group could elevate them to being just a very good team and PSG’s main competition for the Ligue 1 title. Lacazette went from a decent striker in 2013-14, producing a weighted chance creation mark of 97.4 to a wCC+ of 137.7 in 14-15 which ranked 4th in Ligue 1. Fekir and N’Jie became great co-stars alongside Lacazette when the trio played together and Corentin Tolisso emerged as a jack of all trades midfielder last year. 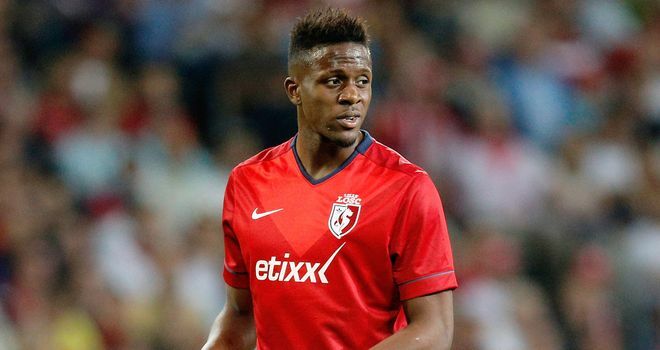 Nabbing Claudio Beauvue for €5 million was a nice piece of business for Lyon and will help both N’Jie and Fekir out if Lacazette isn’t available to play. Both Fekir and N’Jie struggled when Lacazette was out injured and Beauvue gives them a target man in their diamond formation if the same situation happens again. Lyon probably won’t challenge for the title next season as long as PSG don’t devolve into their 2014-15 state, and there’s the chance that Lyon regress because of some of the unsustainable things they did last season. But if they mature as a group and things break right for them, maybe Ligue 1 will have a second season that features a captivating title race. PSG are getting the headlines for their transfer acquisition of Angel Di Maria but no club in Ligue 1 had the amount of transfer activity that Monaco have had this summer. Seriously, go look at their Transfermarkt page. It’s been quite the hectic summer for Monaco, a further illustration of the new philosophy the club is adhering to. No longer are they the club who will spend as much as PSG (thank you FFP) but rather now they’re leveraging their cash to spend on high profiled youngsters who if developed well can have higher resale value years later. Adam Traore was arguably the best player in the FIFA U-20 World Cup and won the best player award, Stephen El Shaarawy has been hit with injuries the last two seasons and he’s a different player but when healthy he could be an upgrade over Yannick Ferreira Carrasco. He’s the same guy who scored 16 non penalty goals in 2012-13 for Milan as a 20 year old prodigy. Ivan Cavaleiro had an okay season on a very bad Deportivo La Coruna side but cost €15 million, and Thomas Lemar is a young prospect who French Football Weekly had as a possible Le50 candidate for the 2015-16 edition. There’s obviously a risk in what Monaco are doing. Not all of these youngsters will pay off and they will have to find a way to replace Geoffrey Kondogbia in the central midfield next year, but it’s smart of Monaco to make a U-turn on their previous free spending ways. Most of these players have pedigree whether it’s already at the senior level or below that and their manager Leonardo Jardim already has experience with managing young talent last season. Monaco were good last season in Ligue 1 and developed a reputation for being an unattractive, disciplined side from both their Champions League exploits and in domestic play. The reputation was somewhat valid. Certainly for the first few months in Ligue 1 and their group stage performances in the CL Monaco looked like the dogged, determined team that more or less killed football games. Even their performance versus Arsenal was more or less Monaco counter attacking a few times in the second half of the first leg to devastating effects. Monaco only ranked 7th in expected goals for last year but had the 3rd highest final third passes in Ligue 1. They also ranked 3rd in shots coming from dangerous passes per game. This was all done despite having the 6th overall lowest conversion rate last season in Ligue 1. An attacking core of Sharaawry/Anthony Martial/Bernardo Silva plus perhaps contributions from acquisitions Fares Bahlouli and South American signing Guido Carrilo could push Monaco to another level in attack. Defensively, Monaco should be close to as good as they were last season. They’ve kept everyone except Kondogbia including securing Fabinho long term and if Teimoue Bakayoko could stay healthy next year, he can help replicate the defensive part of Kondogbia’s game. Monaco conceded the 4th fewest shots from dangerous passes last season, had the 2nd lowest expected goals conceded mark last year at 35.2 but still only conceded 26 goals, a nod to the solid season from goalkeeper Daniel Subasic and probably some bad finishing from opponents as well. If El Sharaawry can stay fit and blend into the Monaco set up plus a couple of those new acquisitions play as well as advertised, Monaco will almost certainly be in the top three for the third season in a row and could very well supplant Lyon for 2nd in Ligue 1 (which comes with automatic qualification to the CL group stages). The gap between them and what’s below them is considerably huge unless Monaco have a lot of things go bad for them. I’ve already said a lot about Marseille three weeks ago but I’m slightly more optimistic about what they’re doing since that piece. Marseille secured a season loan for Javier Manquillo, got Lassana Diarra on a free, and are going to be the club that tries to revive Abou Diaby’s career. This is good for squad depth with the Europa League to deal with next season and being under another season of Marcelo Bielsa kamikaze football. However despite that, Marseille still as currently constructed are on the outside looking in to finish in the top 3. The last time Saint Etienne made the Champions League was in 1982, and last season was probably their best shot at making it back there in quite some time. They ultimately finished two points off of the final CL spot to Monaco and are currently in the qualifying playoffs to get into the Europa League group stages. The greatest reason for their success was that Max Gradel went from a pretty decent player to a heavy usage, fire breathing monster of an attacking player. Gradel posted the highest wCC+ in Ligue 1 last year over the likes of Zlatan, Payet and Lacazette and looked the part of one of the best players in Ligue 1. In a hypothetical Ligue 1 ballot, I rated Max Gradel as the 2nd best player last season and remarked about his importance to Saint Etienne’s attack. Whether it’s a dribble attempt or a shot inside the box, the amount of things that Gradel does for Saint Etienne makes it seem like there are two Max Gradel’s on the pitch instead of one. And Saint Etienne need that type of unpredictability and chaos because outside of Gradel, there’s no one else on the squad who could consistently do what Gradel does. Hamouma is the closest thing but he’s a playmaker at heart so he doesn’t strike fear into opponents in the same way. Saint Etienne rank eleventh in shots per game, ninth in shots inside the penalty area and eighth in expected goals for. Without Gradel playing at the level he has played this season, I’d hate to imagine where Saint Etienne would be without it (especially considering that since Gradel’s return, Saint Etienne have accumulated the third most points in Ligue 1 this season). Saint Etienne during the summer acquired Nolan Roux from Lille, permanently kept Kévin Théophile-Catherine from Cardiff, and sold Frank Tabanou/Melvut Erdinc. Swapping Erdinc for Roux is probably a wash. Losing Tabanou will hurt as he was very solid last year transitioning from a winger to a LB, but Saint Etienne are good enough defensively to probably stomach the blow well enough. Perhaps the biggest move of the summer for Les Verts was selling Allan Saint-Maximin to Monaco. The fine folks at FFW had Saint-Maximin in their most recent Le50, highlighting how highly rated the youngster is as a prospect. There are rumors that Max Gradel could be on the move to AFC Bournemouth this summer and if Bournemouth do indeed get Max Gradel, Saint Etienne will have it harder to remain a top 6 club in France next season unless Les Verts can find some suitable form of reinforcements for him. They don’t have anyone on their squad as presently constructed who can replicate his dynamism. 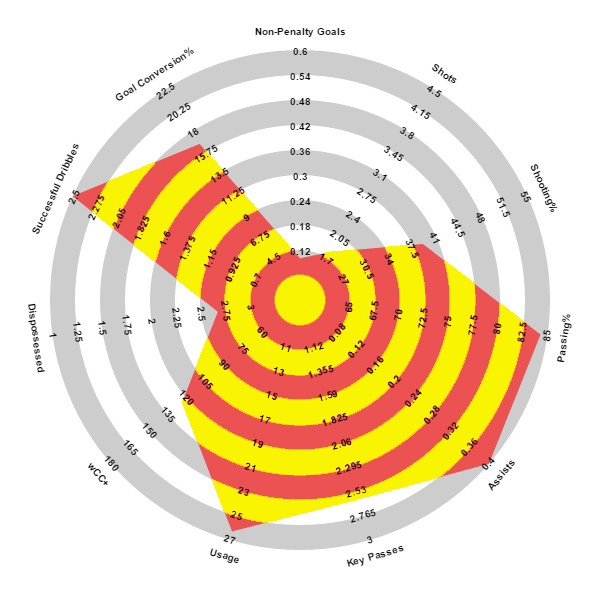 With Aston Villa’s acquisition of Jordan Ayew, perhaps Bordeaux can sleep a little easier knowing there’s a better chance that their goal scoring attacker Diego Rolan stays for another season. If Bordeaux manage to keep Rolan and find a replacement for the departed RB Mariano, it shouldn’t be impossible for Bordeaux to finish 4th in Ligue 1 this season even if they qualify for the Europa League group stages. Bordeaux were solid last season, albeit without a defining characteristic/trait that the other top teams in France had last season. PSG were methodical, almost to the point of boredom. Marseille played kamikaze football, Lyon had the Lacazette/N’Jie/Fekir trio, Monaco were brutally efficient and Saint Etienne were boring. Bordeaux? They played decent, at times attractive football. Their underlying statistics were solid but nothing spectacular. Bordeaux alternated between formations that involved a 4-3-1-2/4-1-2-1-2 diamond or playing a hybrid 3-5-2/5-3-2. They weren’t Marseille in terms of ridiculous high pressing, man marking systems (really no one in world football is of that nature) although against Marseille, Bordeaux did slightly up their pressure to more resemble the likes of Arsenal in the midfield. In terms of roster management, one can’t help but notice just how youthful the team is when it comes to attacking talent. Wahbi Khazri is 24, Rolan is 22, Thomas Toure is 21, Isaac Thelin is 23. Bordeaux has one of the best stable of young forwards in Ligue 1 and are supplemented well with players in their prime years in Cheick Diabate and Nicolas Maurice-Belay. It will be interesting to see how Bordeaux will replace Mariano at RB, seeing as he was an integral part of Bordeaux’s 6th place showing last season. Bordeaux are going to play their first full season in front of their sparkling new stadium, and the team they have currently has the tools to both make a decent run in the Europa League and finish 4th-6th in Ligue 1. That would represent a successful season for the club, perhaps the most successful since their quarterfinal run in the 2009-10 Champions League. The potential in attack should have Bordeaux fan salivating at the prospects of consistently vibrant football being played at the Nouveau Stade de Bordeaux. We’ve reached the point of the preview where most if not all the clubs mentioned here have already been significantly altered with departures from their squad, whether it’s Nice with Jordan Amavi or Lorient with Jordan Ayew. You can add Nantes to that list as they saw their star midfielder in Jordan Veretout head off to Aston Villa, a crippling blow for the club’s 2015-16 prospects. What was positive about Nantes this summer was that it seemed like they were trying to address their striker issue through the signings of Kobeinn Sighthorsson and Emiliano Sala from Boreaux. 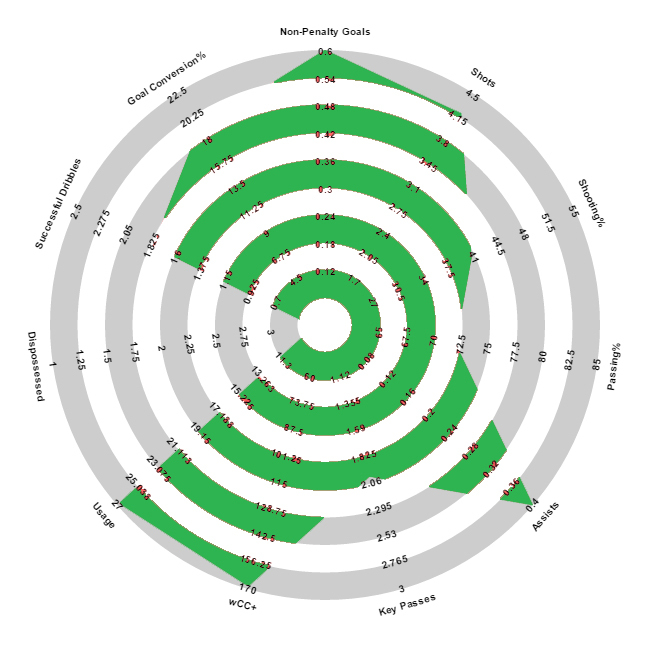 Sighthorsson during his time with Ajax and AZ amassed a non penalty goals per 90 rate of 0.62 with a decent shot rate of 2.72 over his final two seasons with Ajax. We don’t know how well he’ll transition into Ligue 1 but his credentials in the Dutch league look decent enough. It’s one of the more shocking misses you’ll see. However irrespective of the hilariousness of that miss, Sala actually had a pretty decent loan spell with Caen and in over 700 minutes over the second half of the season, he managed to produce this. He was also the man who played a starring role in Caen’s 3-2 comeback win over Marseille, which was part of Caen’s stretch from mid January to the beginning of March when they picked up 19 points out of a possible 21 that essentially saved them from relegation. There’s a decent possibility that Sala was just a flash in the pan and he’s really a crap striker, and the loss of Veretout will hamper his ability to get throughballs played in his direction as Nantes ranked 5th in chances created by throughballs. If that’s the likely case, then that’s of real no usefulness for Nantes seeing as they already have Yacine Bammou who’s been slightly better than that so far during his Nantes career. The departure of Jordan Veretout really puts a damper on what could’ve been a banner season for Nantes. Their striker signings with the departure of Veretout could just be surplus to mediocrity, which Nantes already have. The last time the club finished in the top half of Ligue 1 was their 6th place finish in 2003-04. How Nantes will use the transfer money on Veretout could dictate how far they fall down the standings, but a season that had a lot of promise now seems like it’ll be another run of the mill campaign. With the issues surrounding Bastia’s finances and their need to sell Ryad Bouzebouz to balance the books to avoid relegation to Ligue 2, Montpellier did well to take advantage of this by acquiring the Algerian playmaker. Bouzebouz put up a wCC+ of 99.8 in 2013-14 and though his numbers tanked last year on Bastia, perhaps on a slightly better team he can put up good numbers again. 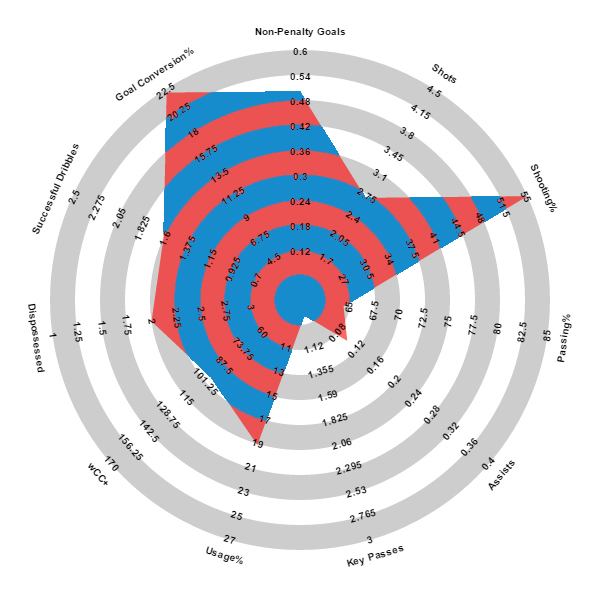 Plus they’re in talks to sign Yoann Gourcuff who did produce a wCC+ of 128.3, albeit only in 774 minutes of action last season. Montpellier were nothing much to write home about last season. They ranked in the bottom half in expected goal ratio, shots on target ratio and were another team to have a boost from PDO. Montpellier had the 4th highest PDO last year with 107.4, a year after having the 6th lowest PDO with 96.9. 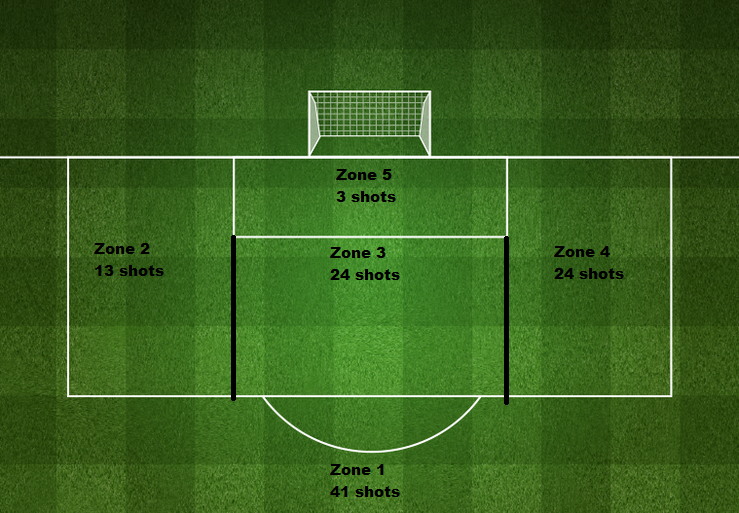 Lucas Barrios scored 11 goals on 46 shots last year, a conversion rate of 23.9%. It felt like anything he touched turn to gold in terms of the chances he was given. Out of the blue, Barrios would either have a tap in or been sprung for a 1v1 on the opposing goalkeeper. Even if Barrios had returned for another season with Montpellier, there was a good chance this same level of production wouldn’t have been repeated. Hopefully for the club, Morgan Sanson will fully recover from the ruptured knee ligaments he sustained late last season because he’s by far their most promising player at just 20 years old. He can play in a number of positions and play them well. Geoffrey Jourden had a really solid season last year in goal for Montpellier and he will have to have another one for them to keep Montpellier afloat. If Kevin Berigaud is their main option for leading the line next season, It could be a rough season for Montpellier. It hasn’t been a good summer for Lille, and this was a club that wasn’t particularly good last year when they had all these players. One of the problems with Lille last year was they would usually play the trio of Gueye/Balmont/Mavuba in the central of the midfield in a 4-3-1-2/4-1-2-1-2 formation, and the skill set of those three just overlap way too much to have a cohesive attack. However, selling the youngest and by far the most productive of the trio won’t help things for Lille. Boufal might be the only highlight of Lille’s 2015-16 season but he’s as good a highlight as a club like Lille can hope for. Rennes defensively played a lot like Saint Etienne and Lille defensively, which is very minimal pressing and absorbing pressure. It’s the antithesis of the man-marking pressing that Marseille employ or even Lyon’s ability to pressure fullbacks along the touchlines with their forwards. It worked splendidly for them. Rennes ranked 5th in expected goals conceded, 6th in shots conceded inside the six yard box and 2nd best in shots conceded from dangerous passes per game. How Philippe Montanier set up Rennes defensively worked very effectively. 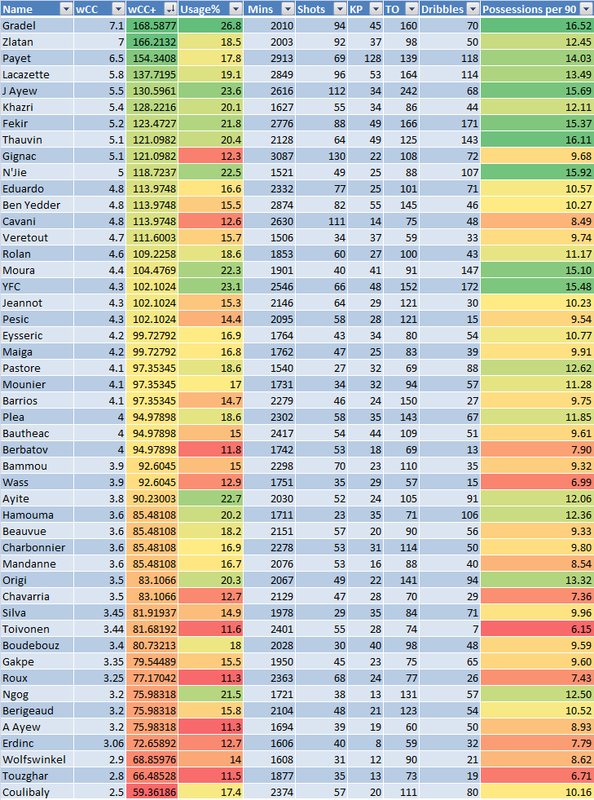 Offensively Rennes were bad, ranking poor in all the major categories. At times it felt like if it wasn’t Paul-Georges Ntep creating something out of the blue, nothing good came of it. Thankfully for them they’ve so far manage to keep him around for potentially another season in Ligue 1. 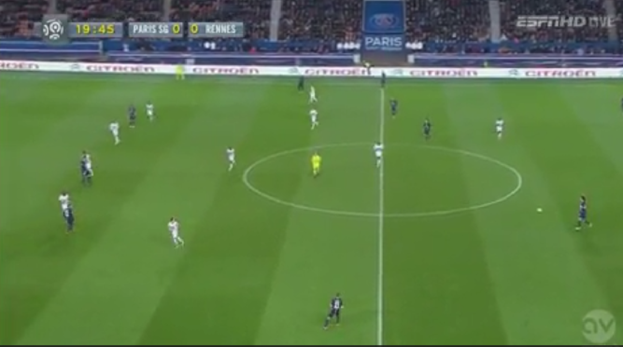 You get the feeling that this could’ve been the perfect spot for Yoann Gourcuff to try and revive his career. When he was healthy (which was rarely), he was still a solid contributor last season for Lyon. Nice just sold arguably their best player in LB Jordan Amavi to, you guessed it, Aston Villa. Lorient sold their best forward to Aston Villa as well. Guingamp sold their best forward to Lyon. Bastia had to sell maybe their best playmaker to balance the books and avoid relegation to Ligue 2. Caen sold a potentially great prospect in Lemar and midfielder N’Golo Kante while Reims essentially kept the same team together. The Jordan Ayew transfer could be its own essay in terms of how people view the Ghanaian. For the club itself it’s a massive success, particularly when you consider how little they both paid for Jordan Ayew and how little they got in return for the sale of Vincent Aboubakar to Porto last summer. 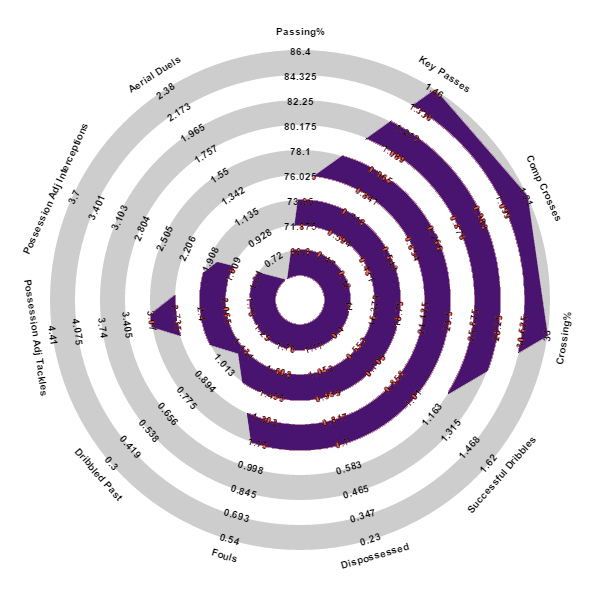 Throwing my two cents in on the Jordan Ayew discussion, I think Ayew is a heavy usage, at times sloppy forward who also is a proven shot creator and does just enough that you tolerate the amount of times he’ll frustratingly lose the ball. For the deficiencies in his game, Lorient will miss this production from him. Raphael Guerreiro’s continued evolution from left back to an all around left sided midfielder was a rousing success, and Lorient need him and Benjamin Jeannot to continue their progression to compensate for the loss of Ayew. Caen were perhaps the neutral’s favorite last season because of the chaos they tried to create. Caen weren’t interested in playing football as much as making games as hectic as possible. Caen ranked 7th in shots for, 8th in expected goals for, 8th in shots created from dangerous passes and 2nd in shots coming from the counter. A familiar site in games featuring Caen would be their workhorse midfielder Kante performing a defensive action and two or three plays later turning that into a fast break opportunity the other way. The problem was that when that strategy didn’t work, it really didn’t work and “it really didn’t work” happened more often than Caen probably would’ve wanted. Caen were one of the worst teams defensively last season. Kante heading off to Leicester City won’t help their situation and though they helped increase the entertainment quotient for the league, for their sake they need to find some sort of middle ground in terms of functional chaos vs uncontrollable chaos. Reims were just as bad defensively as Caen but without the same type of novelty that Caen accumulated. Guingamp were a fun story with their success in the Europa League but they’ll struggle to replace the production Beauvue had last season as a converted center forward. Much of the good work during Troyes’ Ligue 2 title-winning season can be attributed to the side’s outspoken manager. As a well-travelled centre-back in his playing days, turning out for high profile clubs such as Bordeaux and Lyon, as well as provincial amateur clubs including Libourne and Saint-Seurin, Jean-Marc Furlan gained an incredible knowledge of all tiers of the game. The Gironde native initially made his name in the managerial game as a successful amateur coach before coming to the attention of Troyes’ directors, and his intriguing management story would eventually reach an impressive highlight last season when he guided his current club to promotion to Ligue 1. Reflecting the culture of stability that Furlan appears to want to instil in the club, Troyes lined up consistently last season in a well-balanced 4-2-3-1 system, with the centre-back pairing of Matthieu Saunier and Rincón and the holding midfielders Thomas Ayasse and on-loan Monaco youth product Jessy Pi, all helping to give the side a sound foundation upon which to build their game. Pi has returned to the Stade de l’Aube on another deal from Monaco, and he will be joined by Corentin Jean. By far and away one of the most exciting young players in France’s second tier last season, Jean moved to Pi’s parent club on a permanent deal during the current window, but like Pi he has also been loaned back to Troyes. Since scoring his side’s opening goal of last season’s campaign, 20-year-old Jean went on to become his side’s top scorer in Ligue 2 this season, netting 10 times. The extremely technically-gifted attacker has played exceptionally well as a lone forward for his side, demonstrating great maturity for such a young player, and his strong performances haven’t escaped the attention of France under-21 coach Pierre Mankowski, who awarded Jean with his first cap in April. One of the keys to Troyes’ success has been their balance, both tactically on the pitch and in terms of the age range within the squad ranks. This type of strategic harmony, and the side’s lack of reliance on a single player to carry them could be key to their chances of Ligue 1 survival. What will also be of great help to Troyes’ survival hopes is the fact that last season they maintained their winning consistency at both home and away. ESTAC are also gifted in the sense that they have an inspirational captain leading the squad – at the heart of everything that has gone right for Furlan’s side has been the veteran midfielder and captain, Benjamin Nivet. The 38-year-old was an outstanding example to his teammates and his fellow professionals last season, scoring eight goals from central midfield and providing an equal amount of assists. He has developed something of a legendary status at the club, and his efforts have been rewarded with a one-year contract extension, which should see Nivet lead his side in Ligue 1, in what could be his last year in professional football. Sporting what L’Équipe named as Ligue 1’s most attractive of home jerseys for the 2015-2016 season will be SCO Angers. The men from the Pays de la Loire will be hoping that it won’t just be their kits that impress this season. Stéphane Moulin’s side’s historic third place finish last season saw the club move back into Ligue 1 for the first time in over twenty years, and many Angers supporters and neutrals alike have been quick to note that this achievement has come as result of a lot hard behind the scenes restructuring work since the club made its way back to professional from French football’s third-tier in 2007. The club is now in a much better position and the Angevin supporters will be hoping that this season will allow the club to once again cement itself as a regular feature in France’s top-flight. Angers have so far been one of the busiest clubs in France during the current transfer window, but they have had good reasons to be active in the marketplace. As Ligue 2’s third place side, some would argue that on paper Moulin’s side would logically be the most likely side to face the threat of relegation back to France’s second division, so if they were to stand any chance of survival, they would need to bolster their squad ranks with new additions. Angers have also lost two key players since the beginning of last season – Sofiane Boufal left the side in January to join LOSC, and the club’s top scorer Jonathan Kodjia recently signed for English Championship side Bristol City. In total, twelve new arrivals have come to the Stade Jean-Bouin during the current window and Moulin will hope that they will quickly adapt to his rigid 4-5-1 system. Angers are blessed with the presence of Ludovic Butelle, the former Lille and Valencia goalkeeper, who will make a long awaited return to Ligue 1 after spells in France’s second-tier. Butelle is an athletic shot-stopper who often impresses with his agility and his performances will be of key importance to SCO’s survival hopes. The club have also signed two of Ligue 2’s most impressive and physically strongest players last season – holding midfielder and Senegalese international Cheikh Ndoye moves to the club from Créteil, and Ivorian internationalist Ismaël Traoré has joined after three seasons at Brest. Both these players can also be used as goal scoring threats from free-kicks and corners given their aerial presence, and this could be of a pivotal importance given the fact that Angers usually only play with one striker upfront. After Kodjia’s departure, signing a centre-forward became nothing short of a direct priority for the club and Angers recently announced the signing of Swiss international Goran Karanovic. The former St Gallen striker has been signed as a direct replacement for Kodjia and he will need to find his feet in Ligue 1 quickly if he is to replace the club’s top scorer’s goals. It’s too early to be able to accurately predict whether Angers will be likely relegation candidates. What is sure however though is that the club’s ability to survive in France’s premier division will depend on the strength of the club’s recruitment policy. It will be great, regardless of how they fare, to see one of France’s most historic clubs return to the top-flight (It must be remembered that Angers that discovered the legendary French international Raymond Kopa!). Few footballing stories can compare with that of Gazelec Ajaccio in terms of their ability to capture the imagination of a whole country. France last season was gripped by the Gaz’s rise from promotion from the National to a second place finish in Ligue 2, earning the Corsican side their first ever promotion to France’s top-flight. If that wasn’t impressive enough, it must also be noted that Gazélec managed to achieve their second place finish with Ligue 2’s lowest budget of the 2014-2015 season. 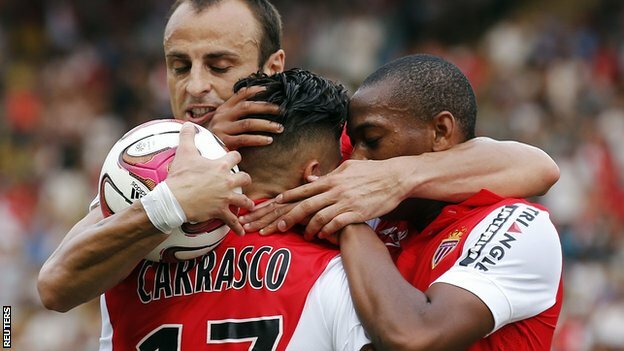 So will Gazélec’s meteoric rise continue in Ligue 1? Without wanting to sound like an eternal pessimist, GFC in my opinion will probably be Ligue 1’s most likely relegation candidates, despite the fact that they finished off one place better than SCO Angers last season in France’s second division. My reasoning behind this lies in the fact that the Corsican side’s success last season was mostly based on their ability to make their rustic home ground, the Stade Ange-Casanova, a fiery fortress in the Mediterranean Sea. Head coach Thierry Laurey managed to inspire his side to grind out an impressive thirteen wins at home last season, with his side only losing twice, helping the side to earn a well-deserved reputation as unwelcoming hosts. Gazélec however did struggle massively on the road, as they only managed to win five games out of nineteen in away fixtures, and star players like their midfield dynamo Mohamed Larbi and former Saint-Étienne stirker Kévin Mayi failed to have desirable impacts on the road. All this said however, Gazélec have one thing that should inspire them – last season nobody expected the Corsicans to reach the dizzy heights that in the end they managed to scale. Corsicans by their very nature often display a rebellious and defiant side which Laurey may be able to rekindle within his Gazélec side, and perhaps this will allow them to defy the odds and achieve Ligue 1 survival. This notion though would be rightly considered as being highly romantic and in practical terms it will take a lot for sides like PSG, Lyon and Monaco to crumble to defeats at the Ange-Casanova. In practical terms, Gazélec’s directors have attempted to give their side a fighting chance in Ligue 1 by recruiting players to strengthen their weaknesses. Laurey’s side conceded fifteen goals in France’s second division last night, with lower placed sides such as Stade Brestois conceding less than them. In order to stop any future goal leaks, defenders Alassane Touré, who has moved from Ligue 2 side Tours, and Toulouse loanee Issiga Sylla have joined the club. Former Lens midfielder Jérôme Le Moigne has also been drafted into the club and fans will be hoping that he can afford his new side with an augmented level of experience in the midfield. It won’t be an easy season for GFC, but people have doubted this side before and they have been emphatically proven wrong. What this club lacks in terms of strength of the technical ability of its playing staff, it has in abundance in terms of its drive, commitment and passion. It must also be noted that there are few supports as passionate about their club in Europe as Gazélec’s support, and their ascension to France’s first division will be worth it for the ambiance that they will create alone. We will also see the return of a Corsican derby with the club’s promotion – their island derbies against SC Bastia will be mouth-watering encounters. This entry was posted in Analytics, Features, Ligue 1, Tactics and tagged ligue 1. Bookmark the permalink.